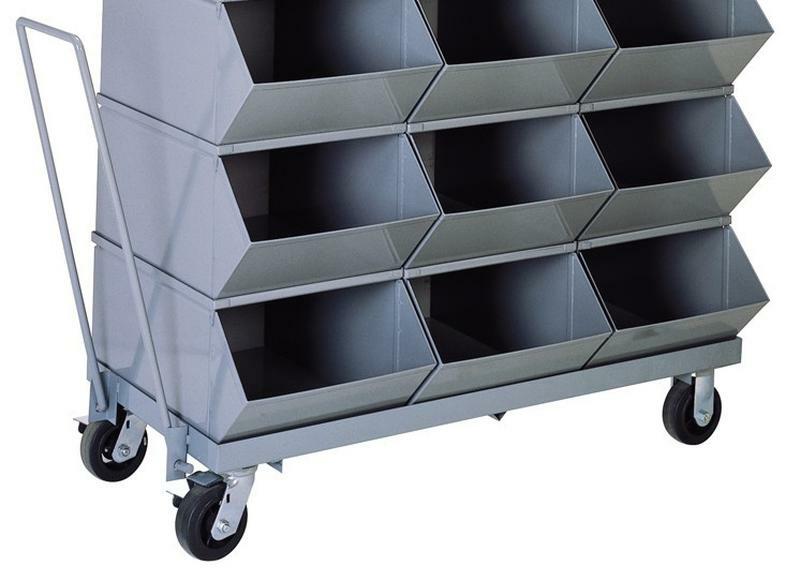 Mobile bases are available for #2, #3, #4, #5, #6, #8 Stackbins & move around easily using the retractable handle. The casters are heavy duty with rubber over steel wheels that have 300# capacity each. 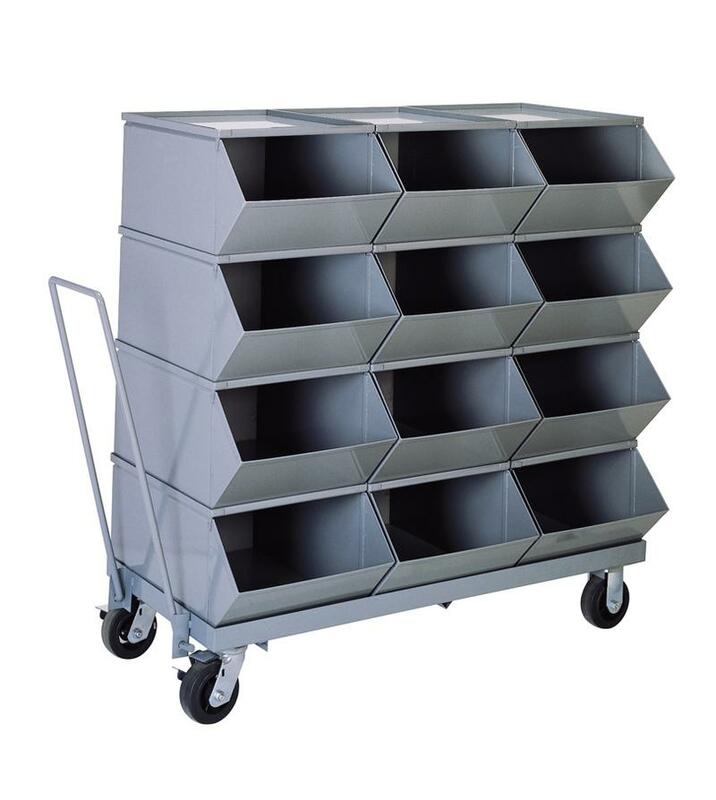 Stackbins will simply stack on top of the base without the need for tools or hardware. These mobile bases are built extremely tough and work out great when used for bin re-stocking programs. Proper Stackbin needs to be specified when ordering only the mobile base.